Whether you are going to be acquiring a property as a permanent residence or for the purposes of vacationing, it is all about location, location, location. Purchasing a home on a lake, or within reasonable walking distance, is not only a worthwhile investment, it also delivers certain benefits. Properties on a lake, like Lake Wylie homes, offer breathtaking views and the tranquility of living away from congested cities and crowded suburban neighborhoods. Many times the natural landscape surrounding lake homes is maintained so you can count on breathing in the fresh air offered. Here are three benefits you will reap when you acquire a lake-front property. Since the natural landscape of lake properties is preserved, these properties tend to be less cramped than those in cities and the suburbs. More landscape means less homes and neighbors allowing for an abundance of privacy. Privacy is a great feature that can be enjoyed by those who are seeking to bask in the quiet outdoors without a multitude of prying eyes, traffic and crowds. 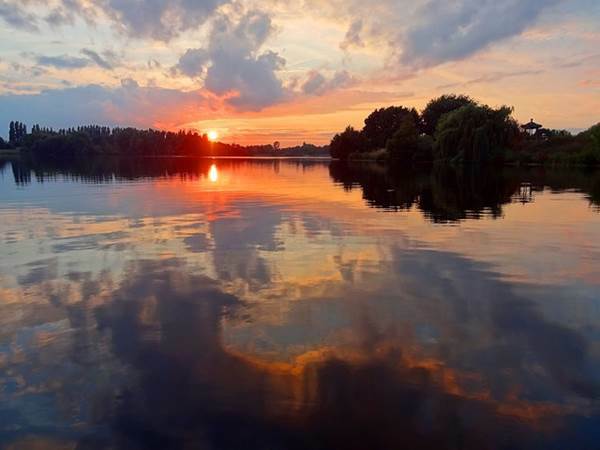 Living on or near a lake can improve your overall health in a myriad of ways. Breathing in the fresh air provided by the trees, plants and other greenery, for example, is a great way to start the day. Instead of inhaling pollutants created by traffic, factories and crowded neighborhoods, an individual’s lungs can finally experience pure air. Additionally, taking in the rays of the sun while sitting by the peaceful water is a great source of Vitamin D and an easy way to let go any stress being held in at the time. Living or vacationing in a home near a lake allows access to a multitude of entertainment opportunities and activities. Fun on the water can be had while rowing, swimming or water skiing, and for dry activities, chances are great that there will be a hiking trail nearby. During agreeable weather, hosting an outdoor get-together for your family and friends is simple thanks to the expansive space available. As the sun sets, watch the fireworks fly over the water for the 4th of July, and celebrate the beginning and end of summer during Memorial and Labor Day weekends. A home on a lake for vacationing or as a permanent residence offers a place where privacy can be enjoyed, health can improve and entertainment opportunities are plenty.